Have an idea that you want to transform into app for iPhone and iPad? Webguru Infosystems provides cutting-edge solutions to turn your dreams into reality. We have a proficient team for custom iOS app development, well versed in the iOS system frameworks, Objective C and Swift. 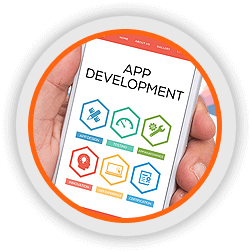 We give our best efforts into creating highly interactive, innovative and scalable apps that meet your business objectives. If you are looking for a Top iOS app development company that delivers apps for the latest versions of iPhones and iPads, Webguru Infosystems can be your best bet. Avail our iOS mobile app development services to increase your customer reach on this platform. We are a team of highly skilled and experienced computer engineers adept in the latest technologies. Our agile iOS App development process ensures delivery of error-free apps within the specified timeline. We ensure smooth performance of our end products with provision for future upgrades. We price reasonably without compromising on quality. Get the best quote for your iOS App Development project. Avail the top iOS app development services to get the best value of your investment and ensure business growth. With an expert team of developers, analysts, UI/UX designers and project managers, we are fully equipped to develop any kind of app for the iOS platform. We follow an extensive iPhone app development procedure to ensure the quality and performance of the deliverables. 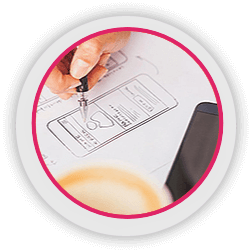 We conceptualize and create wireframes based on your idea for the app. Upon your approval of the wireframe, our designers come up with appealing UI designs. We go through required revisions before finalizing the designs. Our developers are adept in the iOS SDK based for Objective C and Swift, the coding languages of the iOS platform. 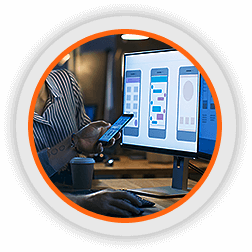 UI/UX implementation, animations and graphics, network communications, memory management and performance optimization and other relevant aspects are taken well care of by our expert developers. 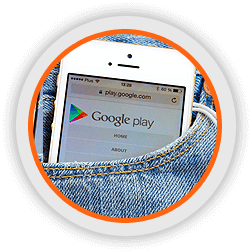 We use standard testing methodologies in the testing stage of the app as well as other stages of the development process to ensure the product meets all the requirements gathered from our client. This testing stage comprises of 4 segments, namely, unit testing, integration testing, system testing and user acceptance testing. The final step of the process is the submission of the app to the App store and make it available for download. Our expert developers are well acquainted with the Submission Guidelines of Apple App Store, ensuring the products sail through the review process smoothly. Webguru Infosystems is an ISO 9001:2015 certified iPhone app development company with quality and precision at the top of its priority list. Hire top iPhone app developers from us to turn your business ideas into a real-time, user-friendly app for the iOS platform. 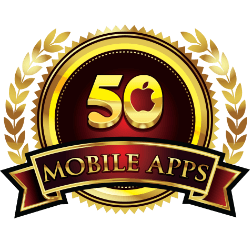 Webguru Infosystems is an ISO 9001:2015 certified iPhone app development company with quality and precision at the top of its priority list. Hire iPhone app developers from us to turn your business ideas into a real-time, user-friendly app for the iOS platform. When you ask people that between iOS and Android, which platform will they choose for launching their business apps, you will receive contradictory answers. Some will say that iOS is better than Android while others will differ. In this confusing scenario, it is better to evaluate it all by yourself and launch your business app on an appropriate platform. Let us make a brief research on the subject to make the matters clearer! Hopefully, this will help you take a firm decision!